The Pocket Punch is extremely easy to use. It will punch a hole, help insert the emitter and remove the emitter. The Pocket Punch will punch holes for 1/4" fittings or emitters into 1/2" mainline tubing. The insert tool saves your fingers when inserting some 1/4" fittings and most emitters. Plus the emitter removal tool will quickly and easily remove emitters from tubing. 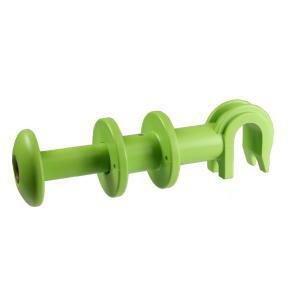 The "C" shape design cradles and stabilizes your tubing while you punch your hole. The ingenuous finger grips make it one the easiest to use punches. The Pocket Punch has a long lasting stainless steel punch pin and will punch a clean hole for 1/4" barbed fittings.